This Old Timer classic Buzzsaw Trapper pocket knife is an American tradition. 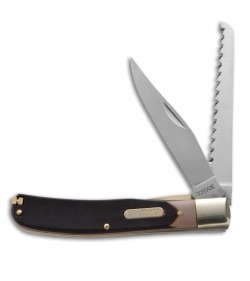 Often found in many of our grandfather pockets, this Buzzsaw Trapper features a satin finished stainless steel clip point and saw blades slip joint construction. 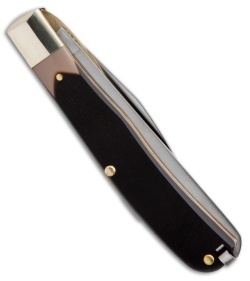 The handle features polymer composite scales, brass liners, polished nickel silver bolsters, and brass rivet construction. The saw blade features a liner lock for secure blade lock up.